This wall sign is perfect for any type of business. 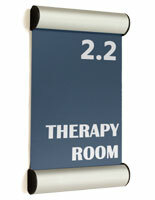 This wall sign, also known as a sign display, is ideal in schools, universities, business offices, banks, hotels and more! 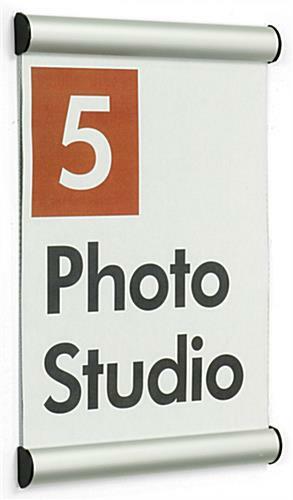 This wall sign is used to post office and class room numbers, schedules, safety signs, announcements and more! 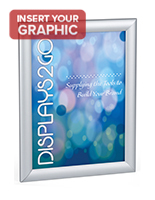 The snap-open style offers easy sign changes by just opening up the aluminum profile ends and changing the sign without removing the mounted frame from the wall. 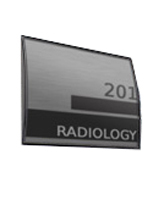 A wall sign, such as the PFWM85VH system, allows you to mount your 8-1/2" x 11" signs horizontally or vertically. 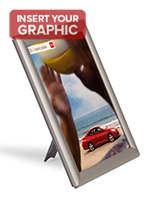 When mounted for portrait presentation, the viewable area is 8-1/2" w x 10-1/2" h (allow for 1/4" on the top and bottom of your print to be hidden under the profile edges). 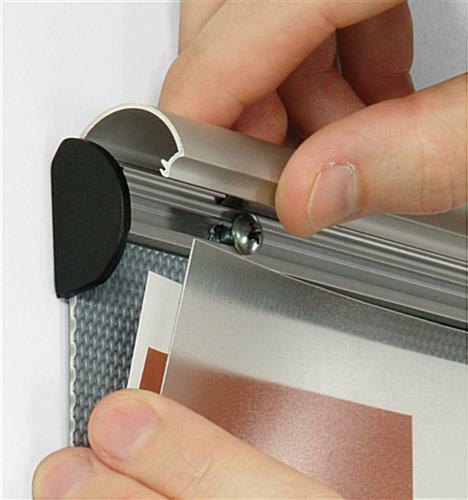 This wall sign, directory sign includes screws and anchors and 4 pieces of double-sided tape for your choice in mounting to the wall. 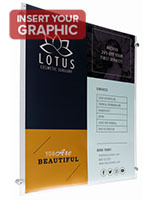 The sign weighs only one pound, making it lightweight and easy to hang regardless of method chosen. 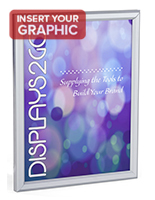 Additionally, we supply this wall sign with a non-glare lens to protect your graphic and reduce light reflections.